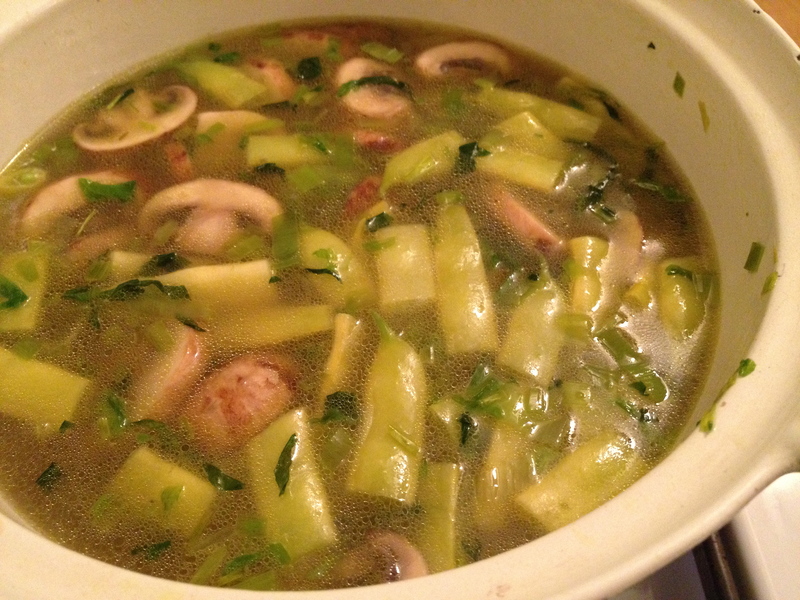 There is no wine in this soup. 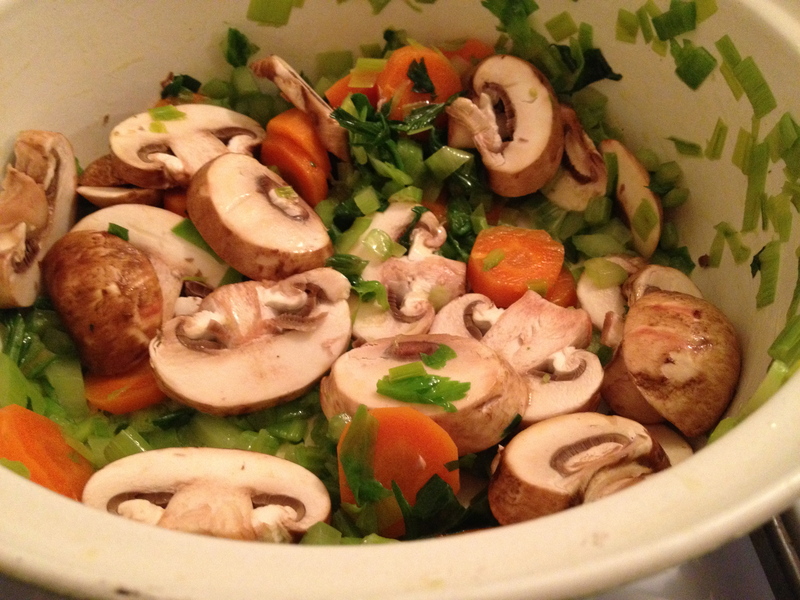 When I make vegetable soup it is based in large part on what’s in the house. Last week I made a batch of chicken stock. My friend Sally Kemp has been touting the benefits of kale on FaceBook so there’s the inspiration. What else in is in the produce drawer? 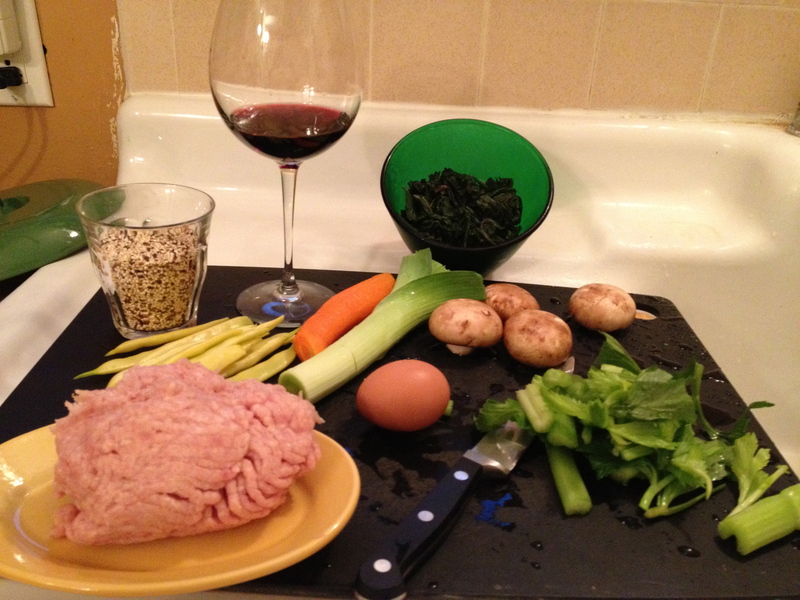 Always – carrots, mushrooms, celery; in the pantry – quinoa (could have gone with the wild rice just as easily), panko bread crumbs to make the meatballs and raz el hanout to season them. I slow-cooked the kale this morning and them headed out into this perfect finally-fall day. 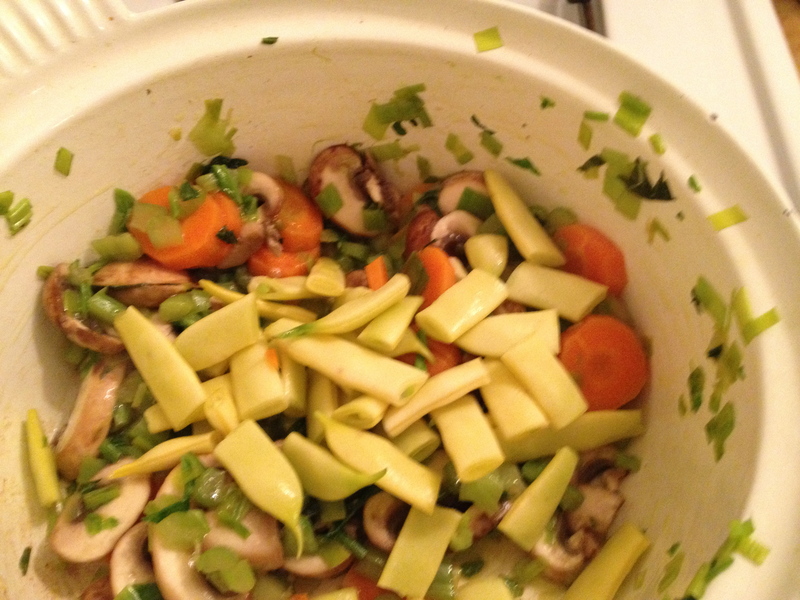 Farmers’ Market – grabbed some romano beans to add to the vegetable medley. Walked to go meet a friend for lunch and a great olive oil tasting – Ojai Olive Oil – turns out the owner knows my daughter! Walk around old-town and then back home. 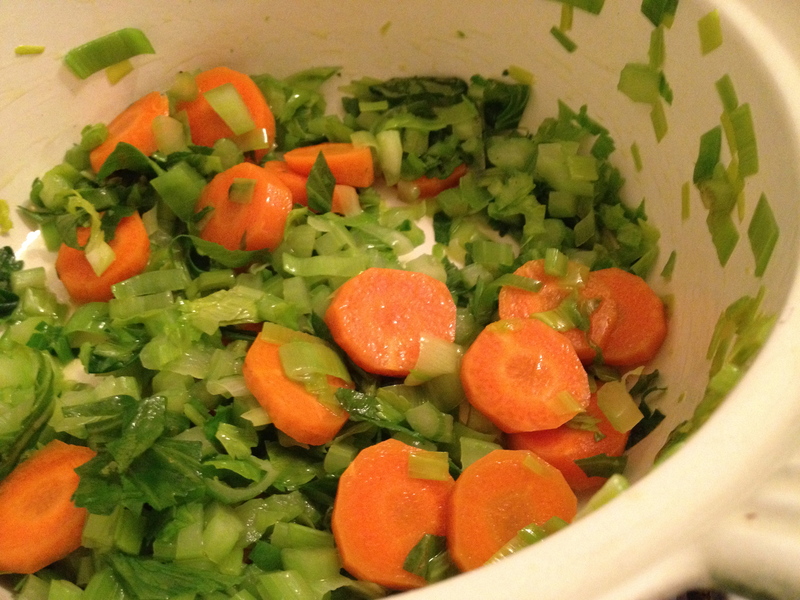 Start building the flavor base – remember that flavors are deeper from sautéing than they would be from boiling. 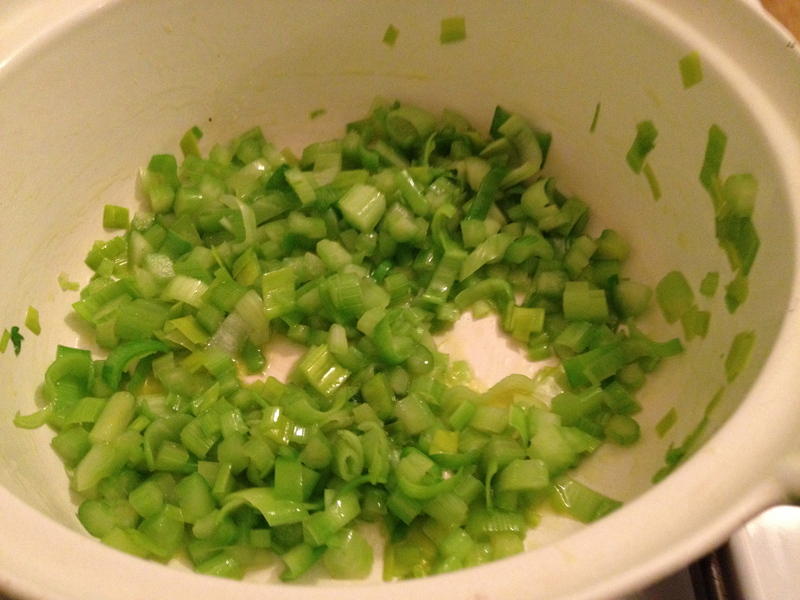 Start with the leeks and celery. Add the carrots. Then the mushrooms and the beans. Finally the quinoa and stock. 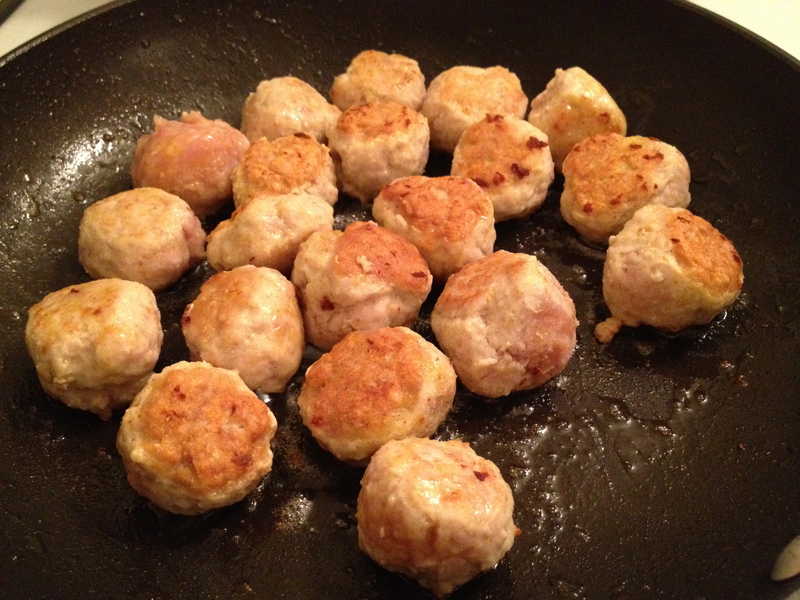 Set it to simmer for about 20 minutes while you make the meatballs. About 2/3 pound ground chicken, panko breadcrumbs, raz el hanout, a small egg, salt and pepper. Brown in a skillet; turn down and a continue cooking until done through. Add a few meatballs to a bowl along with a goodly amount of the kale, ladle in the soup and finish with a drizzle of olive oil and a grate of Parmesan.